Maximize your training progress with private coaching. Are you looking for a personal trainer to guide you to achieving your fitness goals? In personal training sessions, the coach can devote 100% of his or her attention to you. The private nature of personal training means you will get the best results possible from your training. We offer several types of personal training sessions and packages, to best suit your needs. 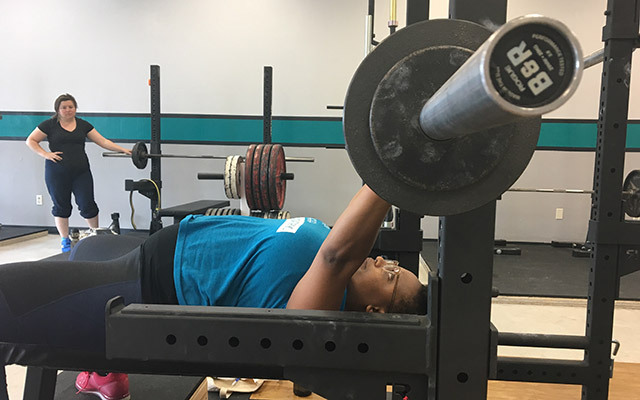 If you are just getting started with strength training — or even if you are not brand new but have yet to see a coach — check out our Learn to Lift package. We will teach you all the major barbell lifts — the squat, press, bench press, and deadlift — over the course of two 90 minute sessions. You will receive a customized training program that is right for you, and advise you on nutrition so that you can make the most of your training. Have a problem lift you need to work on? If you have a particular lift that you really need help with, consider booking us for a Technique Session. We’ll spend 60 minutes focusing exhaustively on that one lift so that you can perform it efficiently and safely, and make better long term progress with it. Do you want to go through a full workout under the watchful eye of an experienced strength coach? We offer 90 minute sessions that allow you to squat, press or bench press, and deadlift or power clean. You’ll be coached through all your warmup and work sets, and we’ll have time in between sets to talk about additional important training questions. Lifters may opt for private coaching on a one-off or ongoing basis. One-off sessions are appropriate for lifters who wish to focus on one or two lifts in a session, paying special attention to all the little details of a lift. 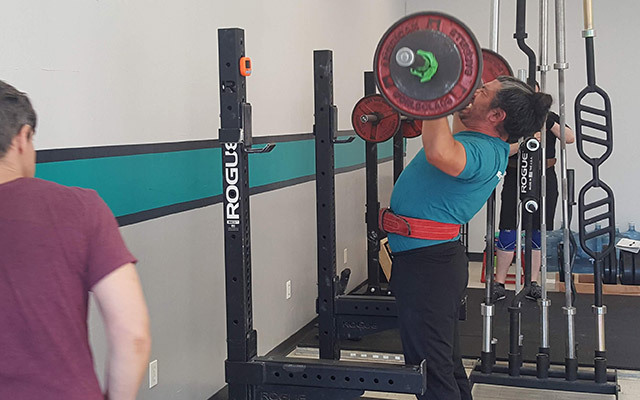 Ongoing coaching is a good choice for individuals who want the hands-on guidance of a trained coach to ensure they maintain efficient and safe lifting technique as they add weight to the bar. It is also appropriate for individuals with special needs that require consistent coaching. Interested in personal training? Use the form below to request a consultation. Bay Strength is coaching practice of experienced strength coaches Katherine Bickford, Gwyn Brookes, Kelly Bryant, and Jeremy Tully. We coach clients of all backgrounds on the basic barbell lifts. Whether you want to be stronger for improved health and everyday life or for athletic performance, we are specially qualified to help you. We are located in Berkeley, California. Gwyn is an awesome coach: kind and supportive, but also rigorous about correct form. She is knowledgeable and enthusiastic, and has a plan in mind for both coaching sessions and the ones on my own. I look forward to going to the gym – and cannot believe I’m saying that! I wish I had known about weight-lifting years ago. I never thought it applied to someone like me. So wrong. Just doing things around the house is easier. Lifting airplane luggage into the overhead compartment – magically lighter. General body wellbeing better. Thanks, Gwyn! Kelly is highly knowledgeable about aspects of health outside of exercise: we often talk about diet, and she’s helped me be more aware of my eating choices. She also recommends great books and apps that have really helped me be a healthier person too. She’s super encouraging, and truly excited about lifting! 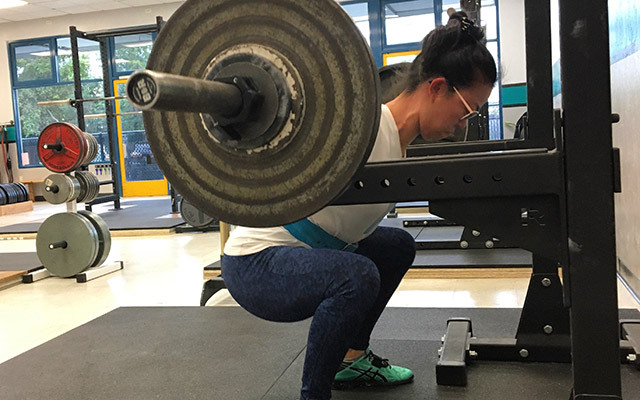 I really appreciate her ability to demystify entire strength training experience–from how the mechanics of individual lifts work to gym culture. I’m amazed at how I’ve not only gotten significantly stronger in the few months I’ve been working with her, but my stamina has improved dramatically as well. I am so thrilled to have her in my corner!